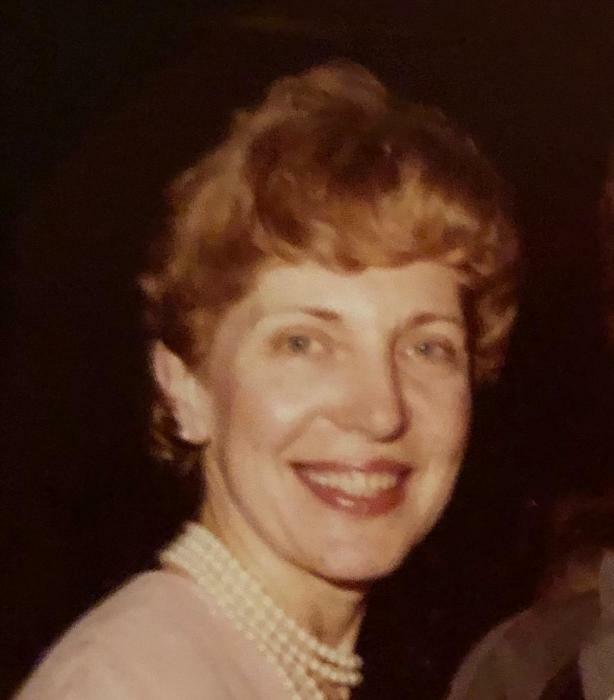 Hermine Julia “Judy” Jezek of East Haddam passed away peacefully surrounded by her family December 3, 2018. Judy was born November 7, 1929, in Astoria, New York, the daughter of John and Julia Mrtka. As a first generation American, she attended school in New York City skipping two grades and graduating at 16. Judy later married Bill Jezek and moved to East Haddam in 1959. She was predeceased by her husband Bill in 1974. Judy enjoyed working and retired from Hometown Bank in Moodus as vice president. Judy is survived by her children Scott Jezek and his wife Shea, and Doreen Jezek, and her late husband, Joseph Pulliam, all of East Haddam; grandchildren Jesse Jezek and his wife Elisha and their children Ryan and Leah, of Avon; Zachary Jezek and his wife Shannon and their daughter Milada of Moodus; and children Tony Fiala of East Haddam and Michelle Fiala of Essex and her children Mackenzie, Madison and Mitchell Holdmeyer. Judy served the town of East Haddam as a registrar of voters; was a charter member of the East Haddam Community Lions; a dedicated mahjong player and active in raising her children, grandchildren and greatgrandchildren. She enjoyed traveling, especially with her cousin Mildred, antiquing, word puzzles and hosting Christmas dinners for her extended family. As the child of bakers, she was an outstanding Czech cook. The family would like to thank the Chestelm staff for the excellent care and attention given to Judy. Calling hours are at 1:00 p.m. on Thursday, December 6, 2018, at the First Church of Christ Congregational in East Haddam followed by a memorial service at 2:00 p.m. Burial will take place immediately thereafter at the adjacent cemetery. Spencer Funeral Home is responsible for the arrangements. Pall bearers are Jesse Jezek, Zachary Jezek, Tony Fiala, Frank Fiala, Mitchell Holdmeyer and Tom Klock. In lieu of flowers, donations may be made to the East Haddam Seniors Club, P.O. Box 623, Moodus, CT 06469.